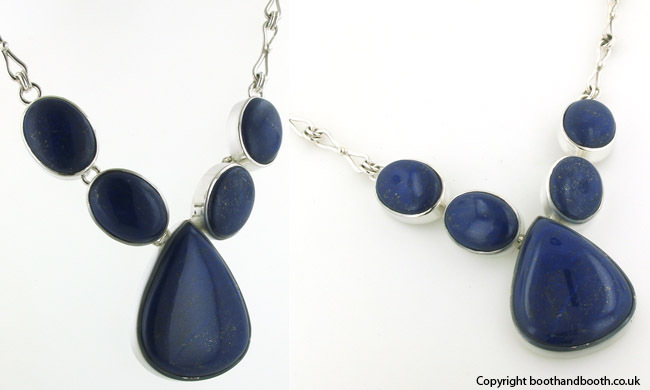 Lapis lazuli necklace with a hand made sterling silver chain. 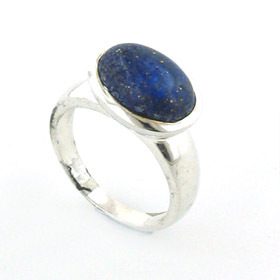 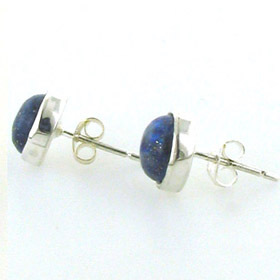 These are large, top quality lapis lazuli gemstones. 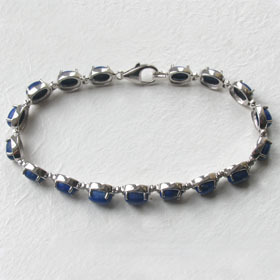 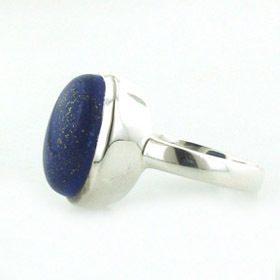 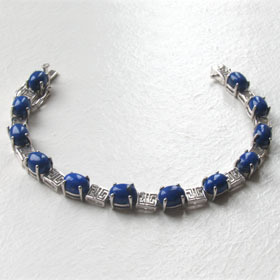 They are smooth and polished and are a lively deep royal blue colour with a light sprinkling of gold pyrite. 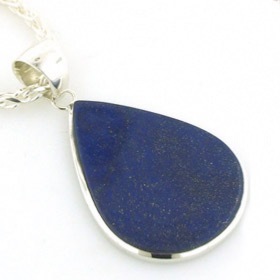 The hand made chain is a beautiful knotted design and finishes the necklace off perfectly. 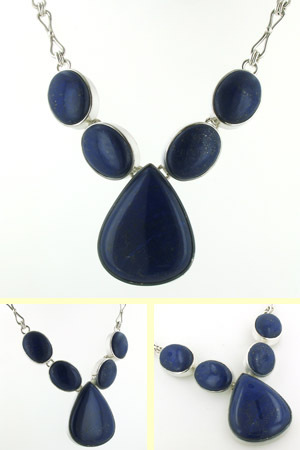 The necklace fastens with a toggle clasp and has extra rings for length adjustment. 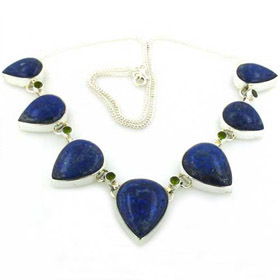 If you love blue, you'll love this lapis lazuli necklace!